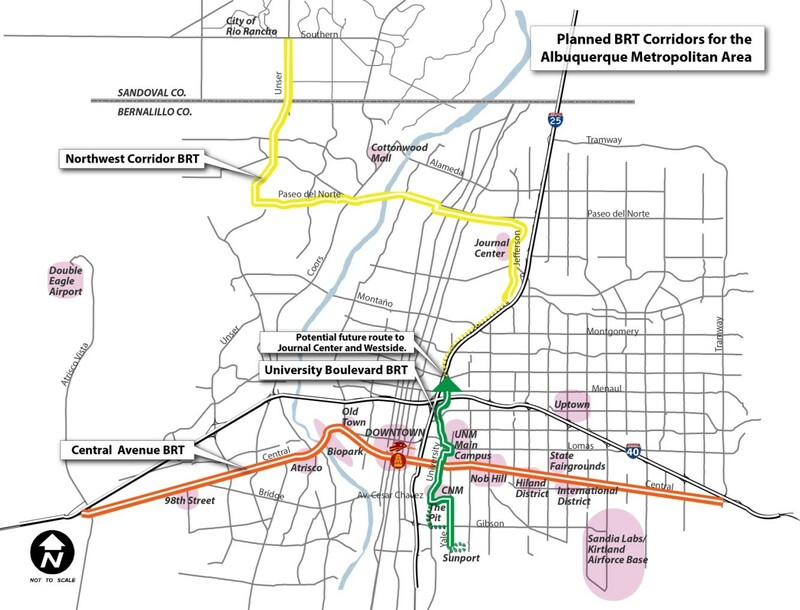 Which US city has the best BRT (Bus Rapid Transit) line? 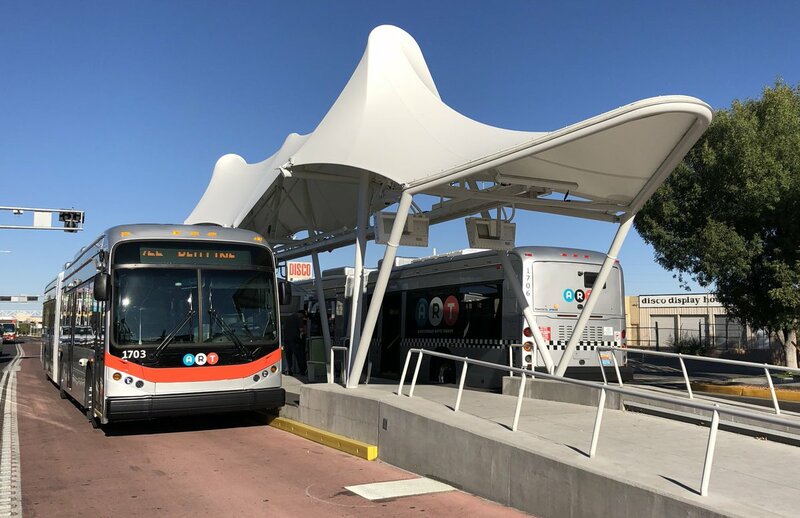 As an alternative to heavy or light rail because cities are cash strapped, cities are opting for bus rapid transit more where a bus typically has their own right of way, stopping at dedicated "stations" without having to spend the money to lay rail. I think its a pretty innovative solution to get people to not use their vehicles, and if the BRT is on a dedicated right of way, it is definitely a lot faster than a regular bus. But if the BRT is high usage, it might be better in the long term for it to be upgraded to light rail or even heavy rail. I like Cleveland's "Health Line" between Downtown and University Circle (its "eds and meds" neighborhood). Pittsburgh is installing a new BRT linking our Downtown to Oakland (our "eds and meds" neighborhood) after reviewing Cleveland's Health Line. Birmingham is going this route. First 10-mile segment is expected to break ground in May. 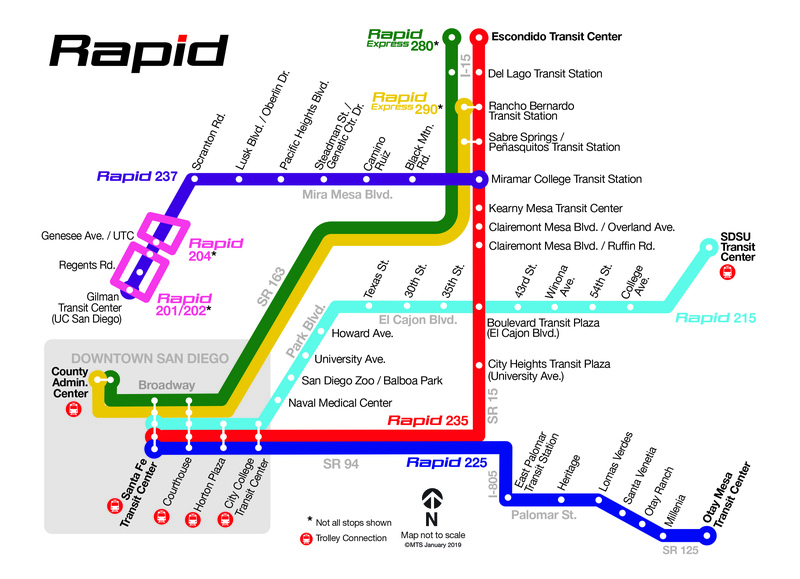 While I’m certain San Diego is far from the best we do have six BRT lines, five of which start at the far (Bay) side of downtown. One travels in the median of a sunken freeway and has extensive infrastructure at a couple of its stops bringing street level access across the freeway (through “lids” over it) and down to the bus. Does the whole BRT have its own dedicated right of way or set lanes, or is it sitting with the rest of traffic but with much more limited stops than the typical bus route? Pretty sure it’s Pittsburgh they have 3 exclusive Busways with like 70mph speed limits. Although LA might be close, but it’s a much larger city. Pittsburgh's BRT isn't done yet as far as I know, but someone from Pitt can correct me on that one. 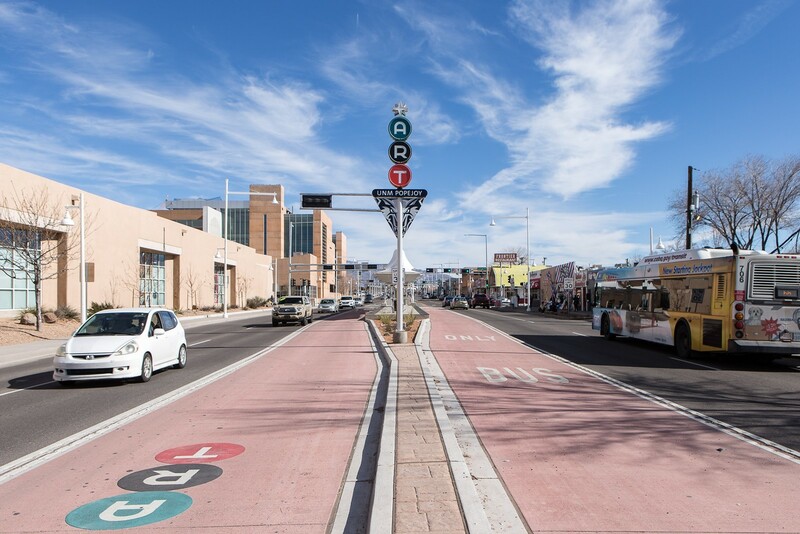 Most American systems are "BRT light". The most successful ones are probably LA (Orange Line), Pittsburg, and Cleveland (Health Line). 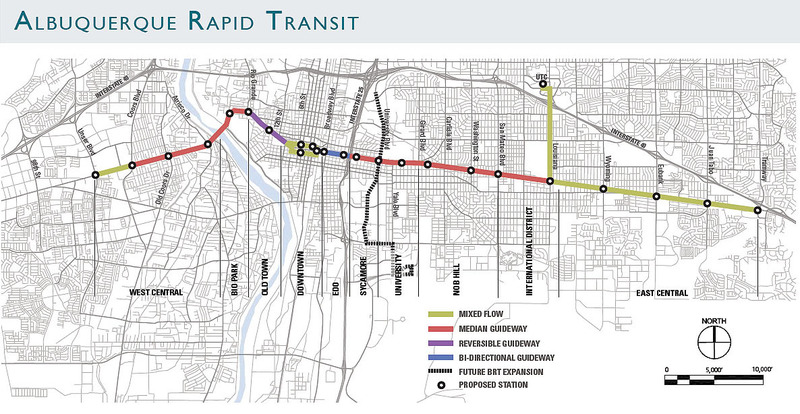 Metroway in Northern Virginia and the recently commenced GRTC Pulse in Richmond are up-and-coming. 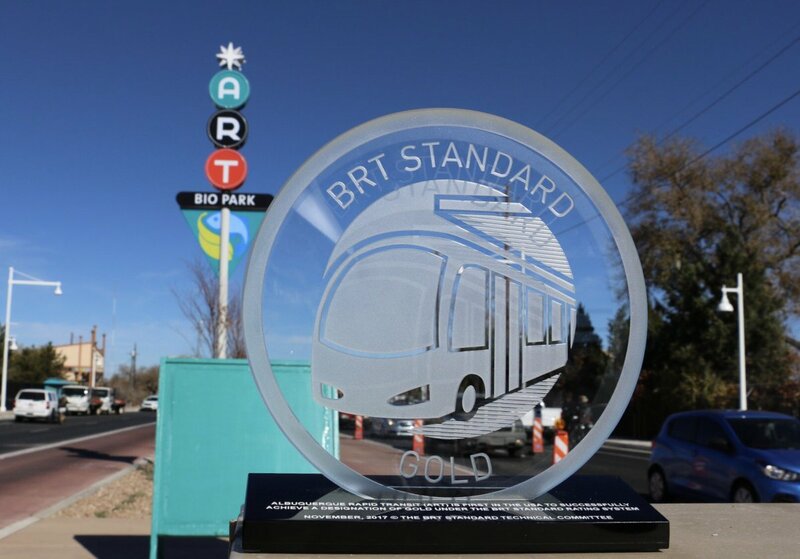 Albuquerque has the nation's first Gold-rated BRT line, the $135 million Albuquerque Rapid Transit. It achieved the rating in a limited start back in November 2017, but has had issues with its fleet that was originally going to be all-electric articulated buses, the first of its kind in the country. Troubles arised with the buses and so the full start of service was delayed. In the time since then the city has decided to go with a more conventional fleet of articulated buses from a different manufacturer and service is now expected to get fully underway by the end of this year. The ART achieved its Gold-rating because of its design with mostly separated, bus-only lanes and center island, raised stations for level boarding along its route. Two more lines are planned with the same characteristics. 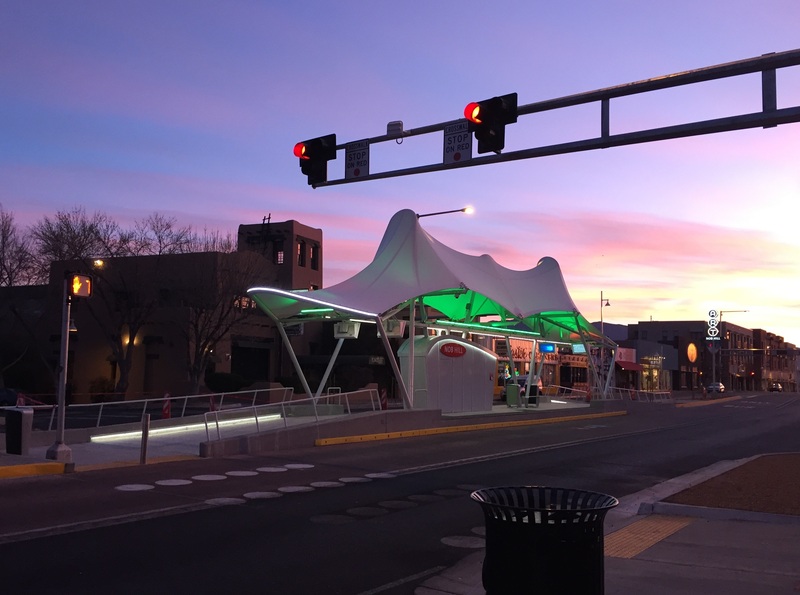 Albuquerque currently has three 'BRT lite' lines already in service that feature limited stops and articulated buses.